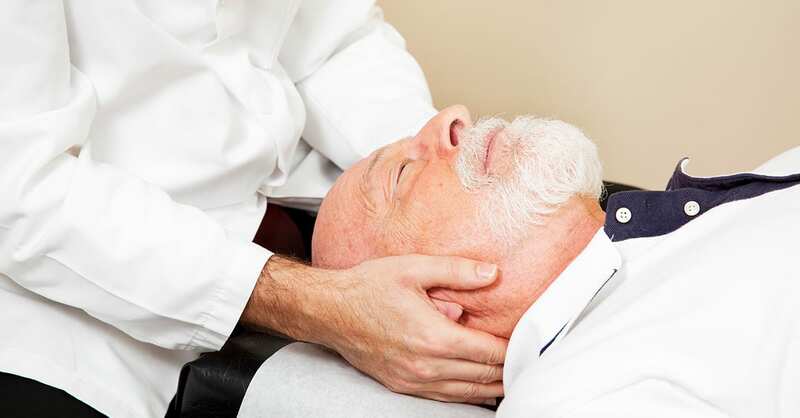 Neck pain is a very common condition that drives many patients to seek chiropractic care. Treatment planning typically includes four primary goals: 1) Pain Management; 2) Structural Realignment; 3) Functional Restoration; and 4) Maintenance / Prevention. 1) PAIN MANAGEMENT: Getting rid of pain is the primary focus of ALL patients in the early stages of a neck injury. If we use the acronym “PRICE” (Protect, Rest, Ice, Compress, and Elevate), the first three apply when it comes to neck pain. We “protect” our neck by avoiding or changing the way we go about doing things such as our sleep position (this often prompts a “proper pillow discussion”), adjusting the outside rearview mirrors of our car (if you flair the outside mirrors outwards, it opens up the “blind spots” and may prevent a collision, especially if you cannot rotate your neck very far), and modifying other ADLs (activities of daily living). The bottom line is: if an activity creates a sharp pain sensation, it is a “warning sign” to modify or stop WHATEVER it is that you’re doing. Wearing a cervical collar for a SHORT duration of time can qualify for both “Protect” and “Rest.” Try resting your neck on a pillow when reading or watching TV, as it allows the neck muscles to rest. A cervical traction device can help reduce muscle spasm, improve flexibility (range of motion), and reduce pain. Alternating “Ice” and heat can be even more effective, as it “PUMPS” out inflammation or swelling. Heat is also a good natural muscle relaxant and ice reduces swelling (inflammation), both of which can help reduce pain. There really is no hard and fast rule as to how long you should continue using ice (days, weeks, or months)—if it helps, use it (unless you are hypersensitive and frostbite easily, in which case limit the ice time). However, heat can worsen a condition if it’s applied too soon or too long. Anti-inflammatory herbs like ginger, turmeric, boswellia, and others are very effective and actually may be BETTER than ibuprofen, naproxen, or aspirin. Recent studies indicate that there may be a delay in healing when over-the-counter pain medications are used, and the recommendation is to AVOID these drugs so healing won’t be delayed! 2) STRUCTURAL REALIGNMENT: The goal here is to improve (to the best of our ability) faulty bony misalignments that frequently exist in the neck, upper, middle back as well as the low back, as all can contribute to neck pain. This is also a great long-term goal, as it may help PREVENT future episodes of neck pain. There is a natural process of aging called osteoarthritis that none of us can avoid, but allowing faulty curves and bony misalignments to persist may actually accelerate this degenerative process! Your Chiropractor may have you lie on a tightly rolled up towel (a frozen water bottle often feels even better) placed behind the neck and when it’s comfortable, performing this on the edge of the bed is a great way to re-educate a reversed cervical curve (and, it feels GREAT!). Even a heel lift in the shoe of a short leg can help the neck! Spinal manipulation, manual mobilization techniques, and trained exercises all address this treatment goal quite effectively! We will continue this conversation next month discussing the third and fourth topics: 3) Functional Restoration; and 4) Maintenance / Prevention, so STAY TUNED!